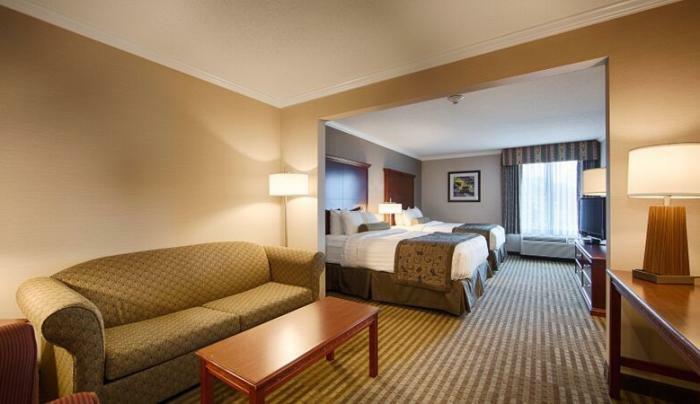 The Best Western Plus Liverpool – Syracuse is located three miles north of Syracuse at exit 37 off the Interstate 90 (New York Thruway). With easy access to Niagara Falls and 1000 Islands. 61 rooms including 12 suites and two rooms with Hot tubs. All rooms are fitted with high-speed Internet access. Free continental breakfast, indoor pool, exercise facility, guest laundry and meeting room to accommodate up to 30 persons. With beautiful landscaping and a warm colored interior, it is sure to enchant and captivate the hearts of every guest. What a great place to get away and relax. The friendly attentive staff will provide professional service to meet all of your expectations during your stay.